Did I mention I’ve been playing this song way too much? Yeah that’s about all I can say about that. 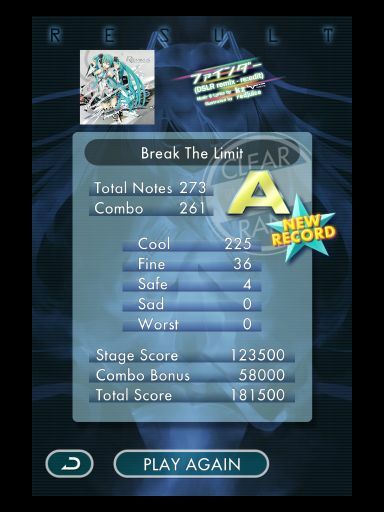 Break The Limit mode on ぽっぴっぽー and the hidden song. 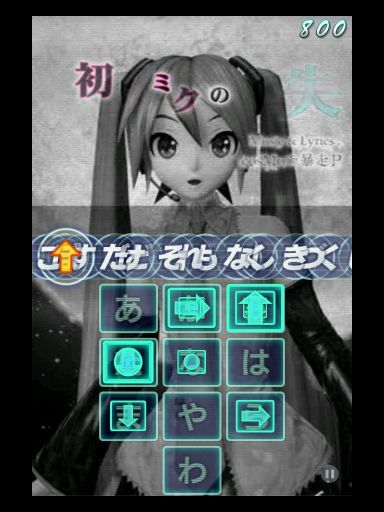 “Official Miku Flick website here”:http://miku.sega.jp/flick/en/. Sigh, they’re trying to turn themselves into Zynga or something. Picked up an iPhone 4S at subsidized price, with a company discount on the contract. Unfortunately work restricts which devices can connect to the in-house secure wifi and via Citrix to the work applications. Although official Android support is planned, chances are I’ll be long gone before it’s properly implemented. So two years with an iPhone it is. I love that everything I had on Android syncs flawlessly with the equivalent apps on the iPhone, and if I feel like switching back to Android or WinPhone later, the option will always be there. bq. Perhaps this might all be easier to swallow if the game had competent dialogue or voice acting that didn’t sound like a hammy 80s sitcom set to quadruple speed for maximum squeakiness. Probably will still bite at some point.